Dango, dango, dango, dango, dango daikazoku~! Who doesn’t love this adorable ending of Clannad? Bouncy, domed-shaped dango dancing around the screen giving you all the feels. Today, for Yatta-Tachi Noms, we will be making dango cookies! 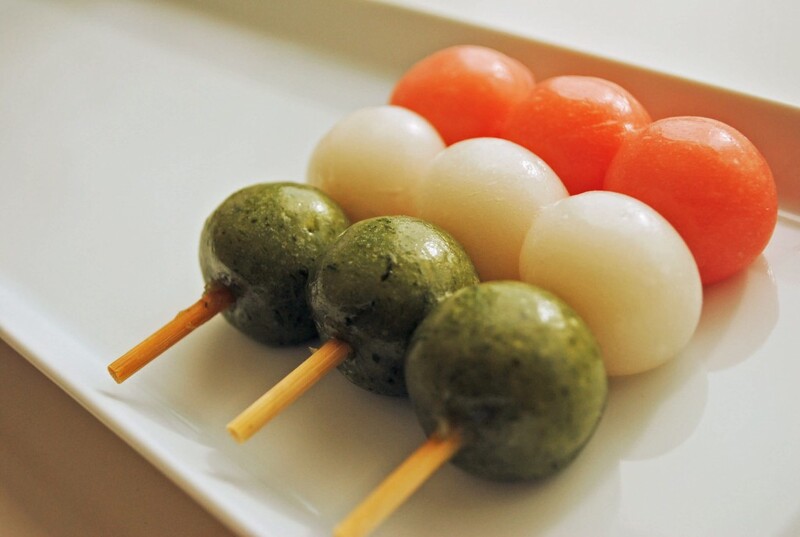 Traditionally, dango are a Japanese dumpling and sweet made from mochiko, (rice flour) which are usually served with green tea. 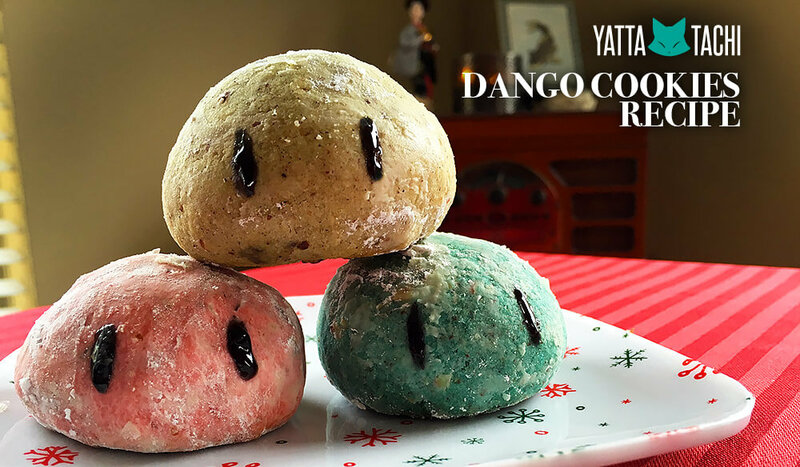 While I can simply show you how to make actual dango, I thought I would change it up a bit and create a cookie version to give away anytime of the year. The recipe is based off a traditional Mexican wedding cookie, Pan De Polvo (or Polorón). Growing up in South Texas, I always found these cookies to be just delightful. If you already know how to make these dense, cinnamon packed cookies, then you’re already ahead of the game! With a mixer, cubed and cream the butter with the white sugar until mixture becomes a light pale yellow with a creamy consistency. Approx. 5-6 mins, starting on low and progress to medium high. Beat in the vanilla extract, food dye of choice (3-4 drops) and water. Sift in the flour & cinnamon and then add the finely crushed almonds/pecans. Stir and mix with hands until fully combined. The dough should be crumbly, soft and barely come together. Knead the dough until it comes together completely as the butter softens. Approx. 4-5 mins. Form the dough in a large ball and place into a bowl. Cover the bowl and chill in the fridge for an hour. Repeat Steps 1 – 4 as you wish to make different colors of dough. Grab a small amount of dough and form into a ball (depending on how large you want them to be). Repeat until no dough is remaining. Place the dough balls onto a non-greased baking sheet. Bake for 15-20 mins until bottoms are lightly golden. Move the cookies from the pan to a wire rack to cool. Lightly roll the cookies into confectionery sugar and shake off the excess. Wipe off the sugar to make two small areas for the eyes to adhere to. There ya have it! Three dango cookies all lined up in a row! Aren’t they so adorable?! How did yours turn out? Send us images of your cookies by either tweeting to us: @Yattatachi or sharing it at our Facebook page!